All returns must be shipped back to Hookah Cousins within 14 days of receiving the order. All orders must be returned in original unused condition with all accessories. The return shipping costs must be paid for by the customer. There is also a 15% restocking fee to cover the shipping and processing costs of Hookah Cousins. A refund will be issued within 3-4 business days of receiving the returned order. An emailed receipt will be sent to the provided email address. Placing your order with Hookah Cousins constitutes an offer, which Hookah Cousins reserves the right to reject or approve at its discretion. No contract will arise until Hookah Cousins has accepted your offer by approving your order. Orders generally ship within 24 hours, however some orders may take up to 7 days. If one or more items is unavailable at the time the order is placed, the entire order will be placed on backorder until we receive the missing item(s) in stock. You are responsible for checking the status of your order. Hookah Cousins will contact you if your order will be on backorder for more than one week. Risk of damage or loss, and title, pass to you upon our safe delivery of your package(s) to the carrier. If a product is received defective, Hookah Cousins will gladly replace it or provide a credit. In some instances, items are damaged during shipping. Hookah Cousins will replace any damaged product. A photograph may be requested for insurance claims. Hookah Cousins must be notified of any damaged or defective product within 10 business days of the customer receiving the order. All comments, feedback, suggestions, ideas and other submissions disclosed, submitted or offered to Hookah Cousins or otherwise disclosed, submitted or offered in connection with your use of the Site shall be and remain Hookah Cousins property. Such disclosure, submission or offer shall constitute an assignment to Hookah Cousins of all worldwide rights, titles and interests in all intellectual property rights in such comments, feedback, suggestions, and other submissions. All duties, taxes and licenses incurred while shopping at Hookah Cousins are the sole responsibility of the customer. Hookah Cousins cannot be held responsible (nor vouch) for any orders with pending taxes, duties or licenses. Any unpaid taxes forwarded to Hookah Cousins will be charged to the customer. We are not liable for your country’s taxes. If you are charged taxes it will be your responsibility to pay the requested amount. If you refuse the package and it is returned to us we can not guarantee any type of refund. If the package is seized by customs we do not issue any kind of refund. Due to fraud issues, international orders will be checked and in most cases payment will need to be made via western union or wire transfer. You shall use Hookah Cousins for lawful purposes only. You shall not transmit through Hookah Cousins any material which violates or infringes in any way upon the rights of others, which is unlawful, threatening, abusive, defamatory, invasive of privacy or publicity rights, vulgar, obscene, profane or otherwise objectionable which encourages conduct that would constitute a criminal offense, give rise to civil liability or otherwise violate any law. We reserve the right, in our sole discretion, to refuse to produce goods and/or to terminate your access to Hookah Cousins for any breach of this provision or any other provision of this Agreement. Unless otherwise noted, all materials, including images, illustrations, designs, icons, photographs, and all copy, content, source code and other written and visual materials on the Site (collectively, “the Property”) are the exclusive copyright, trademark, or other intellectual property owned or licensed by Hookah Cousins. The Site as a whole is protected by U.S. and international copyright, trademark and all other intellectual property law. All worldwide rights, titles and interests in and to the Property are owned or licensed by Hookah Cousins. You, as the user, have a limited license to download or copy the Property on this Site for personal, noncommercial use only. Violation of Hookah Cousins Intellectual Property Notice will result in automatic revocation of this license. No right, title or interest in any downloaded materials or software is transferred to you as a result of any such downloading or copying. 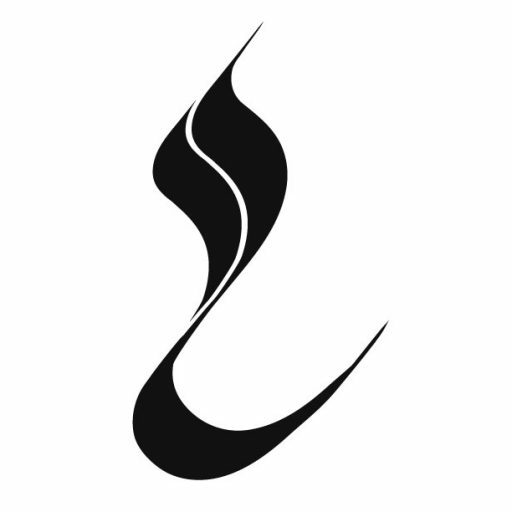 You may not reproduce (except as noted above), publish, transmit, distribute, display, modify, create derivative works from, sell or participate in any sale of, or exploit in any way, in whole or in part, any of the Property on the Site, the Site as a whole, or any related software without the prior written permission of Hookah Cousins. You may not use any meta tags or any other hidden text utilizing any of the Property, including Hookah Cousins name or web address, without the express written consent of Hookah Cousins. Further, you may not frame any of the content, deep-link to the Site, trespass or scrape the Site using robots, data mining, automated agents, or any other data gathering or extraction tools without prior written permission of Hookah Cousins. YOU ACKNOWLEDGE THAT USE OF OUR SITE IS AT YOUR SOLE RISK. Hookah Cousins DOES NOT WARRANT THAT THE SITE, ITS SERVERS, OR E-MAIL SENT FROM HookahCousins.com ARE FREE OF ERRORS, VIRUSES, OR OTHER HARMFUL COMPONENTS, AND THERE IS NO WARRANTY AS TO THE RESULTS OBTAINED THROUGH USE OF THE SITE. THIS SITE AND ALL CONTENTS OF THE SITE ARE PROVIDED ON AN “AS IS” BASIS WITHOUT WARRANTIES OF ANY KIND, EITHER EXPRESS OR IMPLIED, INCLUDING WITHOUT LIMITATION WARRANTIES OF TITLE OR IMPLIED WARRANTIES OF MERCHANTABILITY OR FITNESS FOR A PARTICULAR PURPOSE. YOU ACKNOWLEDGE, BY YOUR USE OF THE SITE, THAT YOUR USE IS AT YOUR SOLE RISK, THAT YOU ASSUME FULL RESPONSIBILITY FOR ALL COSTS ASSOCIATED WITH ALL NECESSARY SERVICING OR REPAIRS OF ANY EQUIPMENT YOU USE IN CONNECTION WITH YOUR USE OF THE SITE, AND THAT Hookah Cousins SHALL NOT BE LIABLE FOR ANY DAMAGES OF ANY KIND RELATED TO YOUR USE OF THE SITE. Our liability to you, if any, shall not exceed the total of the invoice for services and products provided on the transaction in dispute. We shall not be liable for indirect, incidental, consequential, reliance or special damages for harm to business, lost profits, lost savings or lost revenues, whether or not we have been advised of the possibility of such damages. Hookah Cousins shall not be liable for any damage that you may suffer arising out of use, or inability to use, the services or products provided hereunder . We shall not be liable for unauthorized access by third parties to your transmission facilities, premises or equipment or for unauthorized access to or alteration, theft, loss or destruction of users network, systems, applications, data files, programs, procedures, or information through accident, fraudulent means or devices, or any other method. These limitations of liability shall apply regardless of the form of action, whether in contract, warranty, strict liability or tort, and shall survive failure of an exclusive remedy. The provisions of this paragraph will survive any sale completed with you and any change or elimination of this Agreement and/or the Site. You agree to indemnify, defend and hold Hookah Cousins harmless against all damages, claims, liability, costs, and expenses, including but not limited to reasonable attorneys fees, arising out of violation of any of the provisions of this Agreement by you or anyone accessing Hookahcousins.com under your account. The Site is created and controlled by Hookah Cousins, in the State of Colorado. By visiting this Site, you agree that the laws of the State of Colorado, without regard to principles of conflicts of laws, will govern all terms, conditions and disclaimers on the Site, including this Agreement. All disputes arising out of any transaction with Hookah Cousins shall be submitted to binding arbitration in the state of Colorado, except that to the extent you have violated or threatened to violate Hookah Cousins intellectual properties, Hookah Cousins may seek relief in any state or federal court in the state of Colorado. By using the Site, you consent to exclusive jurisdiction and venue in such courts. Arbitration under this Agreement shall be conducted under the rules of the American Arbitration Association. The arbitrator’s award shall be binding and may be entered as a judgment in any court of competent jurisdiction. No arbitration under this Agreement shall be joined to any action involving any other party subject to this Agreement. The terms and conditions contained in this Agreement constitute the entire agreement between the parties, and supersedes all prior and contemporaneous oral and written agreements and representations are merged herein. No employee, agent, or other representative of Hookah Cousins has authority to bind Hookah Cousins or its suppliers with respect to any statement, representation, warranty, or other expression unless specifically set forth in this Agreement.